I spent two days of my vacation in Legoland this year. Don't worry I am not going to give you a description of the best attractions for kids, although some of them are really fun. It is just an introduction to the todays topic. I am sure that even those of you who has never been in any Legoland Park have probably heard about Miniland or maybe have seen some pictures of it. 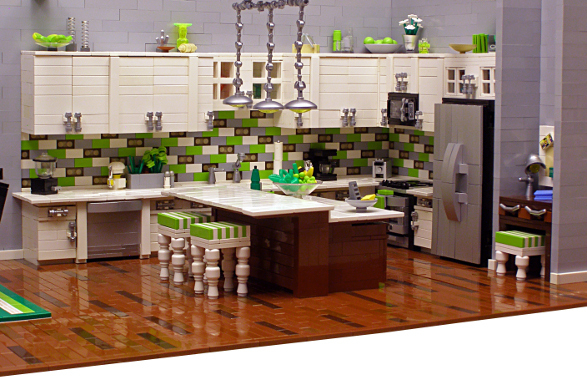 Miniland is the centerpiece of every Legoland. 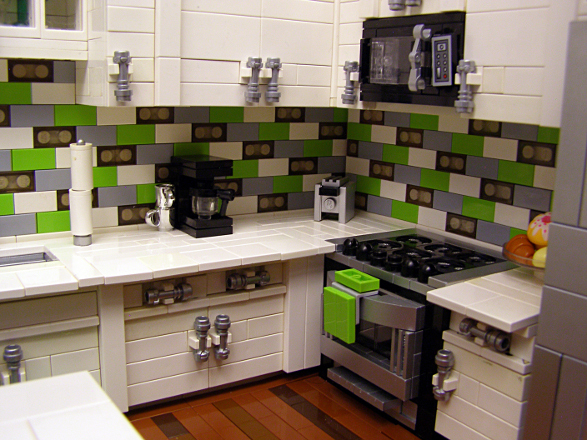 This is the part with internationally known buildings rebuilt in detail of Lego blocks on a scale of 1:20. Visitors from different European countries would find buildings from their home countries. 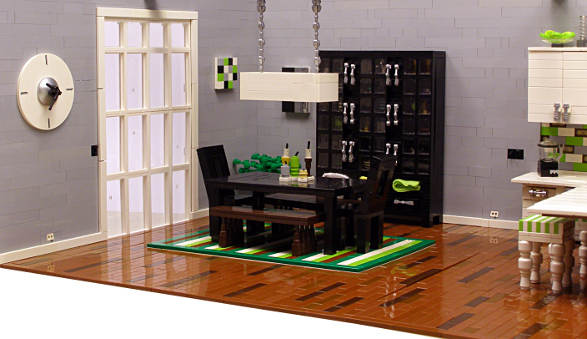 The miniatures are build with a special attention to details and creativity. They really are a masterpiece. Below you would find another piece of good work. 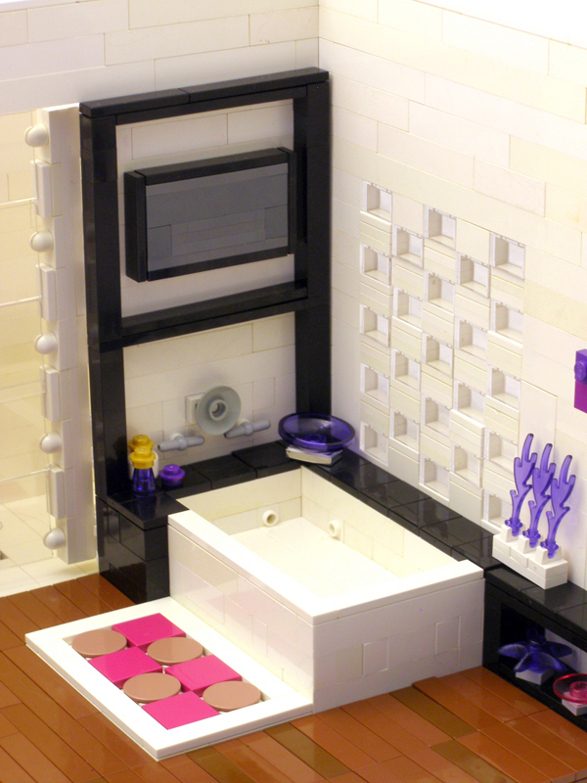 A modern apartment made of Lego by Legohaulic. You can enjoy designer's furniture in the living room, simple bedroom, nice and functional bathroom and a kitchen with dining. There are so many ways to express the passion for interior designing! Furniture and home accessories inspired by child's plays. For adults. Furniture and home accessories inspired by child's plays. For children.